For at least the last fifteen years, ship-recycling yards in Bangladesh, China, India, Pakistan and Turkey have been recycling 97% to 98% of all the tonnage that is recycled in the world. The economies of these countries are characterised by a great appetite for scrap steel for their steel making needs. Of the five, the three South Asian countries recycle two thirds of the world’s recycled tonnage and are the most competitive in the industry in terms of the prices they pay for buying end-of-life ships. Also, these three countries are less developed and poorer when compared to the other recycling destinations. As poverty is usually linked to lower safety, social welfare and environmental standards, the question arises on whether it is inconsistent for a socially responsible shipowner to recycle ships in South Asia. In the last twenty years, the conditions under which ships are recycled have come under a spotlight, mostly as a result of persistent campaigns by civil society activists. This, in turn, has led to efforts to regulate the recycling industry with common international standards intended to create a level playing field and improved safety and environmental protection standards. Around the end of the 1990s the United Nations Environment Programme decided that the already in force Basel Convention (“The Basel Convention on the Control of Transboundary Movements of Hazardous Wastes and their Disposal”) should also regulate the recycling of ships. However, because the Basel Convention had not been developed with shipping in mind, serious practical and legal difficulties were experienced when attempting to enforce the provisions of this convention to ship recycling. Therefore, in 2004 the governing body of the Basel Convention in its decision VII/26 requested UN’s International Maritime Organization to develop a new convention specific to the recycling of ships. IMO agreed to develop the new convention and in May 2009 it adopted the “Hong Kong International Convention for the Safe and Environmentally Sound Recycling of Ships, 2009”, also known as “the Hong Kong Convention”. The Hong Kong Convention has been opposed and frequently criticised by civil society activists, primarily for not banning the beaching method of ship recycling that is used exclusively in South Asia. 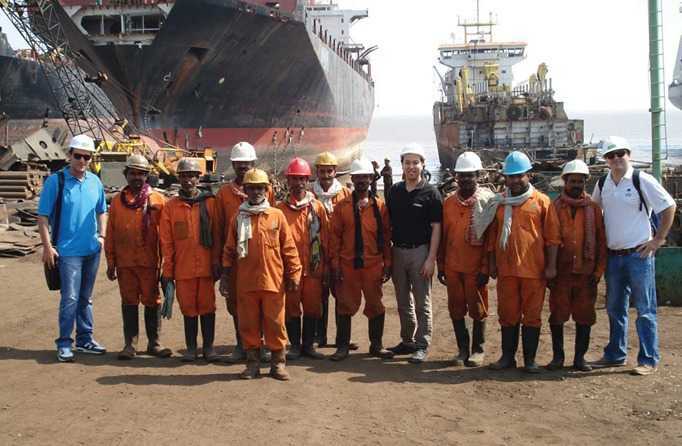 Nevertheless, IMO’s intention was not to close down the ship recycling industries in South Asia, nor to exclude them from the scope of the Convention, but instead to produce safety and environmental improvements in recycling yards in the developing world where 70% of the world’s ship recycling takes place. It is expected that within the next ten years or so, the Hong Kong Convention will not only enter into force but will also become the recognised and globally implemented standard of the industry. In the meantime meaningful progress has been taking place as all five recycling countries are working, at their own pace, towards implementing tighter safety and pollution prevention requirements to their recycling industries, and in so doing, progressively are satisfying more of the requirements of the Hong Kong Convention. Also, a number of individual recycling yards are investing in improvements in their facilities, equipment and working practices. It is fair to say that the great majority of the shipowners have not yet seen an immediate justification to changing the way they prepare their ships for recycling before the Hong Kong Convention’s entry into force, other than in providing their ships with inventories of hazardous materials in slowly increasing numbers. In isolated cases, NGO activists target shipowners sending ships for recycling to South Asian yards with aggressive negative publicity. 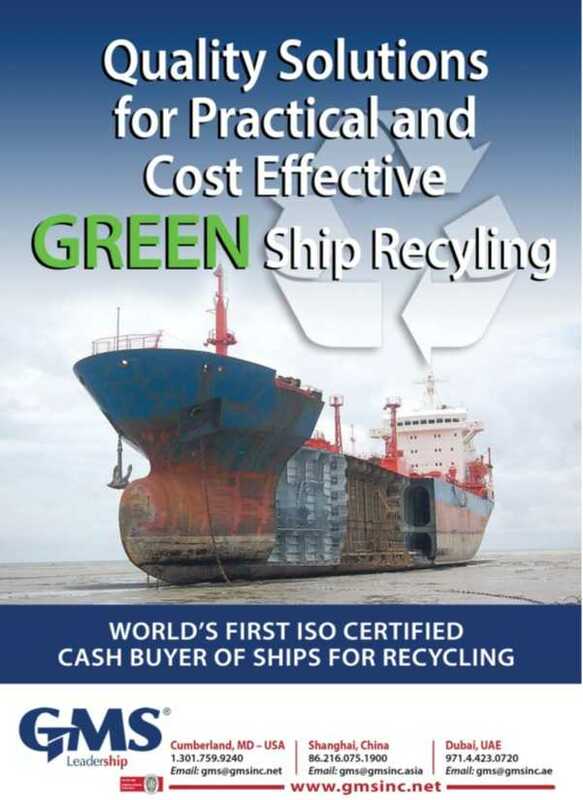 Lastly, there is a small number of shipowners who, often in line with their company’s policy of Corporate Social Responsibility, have changed the way they sell ships for recycling by opting for what has come to be known as “green ship recycling”, or possibly better termed as “responsible recycling”. This, more often than not, has meant selling their end-of-life ships to yards located outside South Asia, generally at lower prices, in order to avoid being associated with substandard recycling and also to avoid bad publicity. And this is the conundrum. As mentioned above, in both India and Bangladesh, there are recycling yards that are already implementing gradual improvements to safety, to environmental protection, and to social welfare. The owners of these yards need – and deserve – to be supported by the custom of quality shipowners, so that their businesses can prosper and so that they can become examples to be imitated by the rest of the recycling industry in their country. If these yards are not positively favoured by the socially responsible shipowners, then how will safety, environmental and welfare improvements be fuelled in the countries that need them most? When the Hong Kong Convention enters into force, shipowners will have no difficulty in identifying yards that are compliant with the Convention’s standards. In the meantime, a socially responsible shipowner needs to differentiate between yards that are suitable and yards that are unacceptable. However, this is not a task many shipowners are familiar with, as shipowners normally sell their end-of-life ships to Cash Buyers who then deal with the recycling industry and its complexities. GMS as the largest Cash Buyer, responsible for around 30% of all ship recycling transactions, has unparalleled expertise and knowledge of the ship recycling industry, and has developed a “green ship recycling program” that tailors the contracting, preparation, and actual recycling to the specific requirements of shipowners who might want to ensure that their vessels are recycled to specified safety and environmental standards. For example, a shipowner may wish to follow the standards of the Hong Kong Convention, or those by the European Union, or simply tailor a recycling process based on his inhouse standards. Here GMS can assist with advice, with the development of the Inventory of Hazardous Materials, the vetting of yards, and the development of a Ship Recycling Plan. Through well-established relationships with responsible recycling yards worldwide, GMS can select with the owner the right yard with the right certification (ISO 9001, 14001, 3000 & OHSAS 18001). Depending on the owner’s requirements, GMS is also able to monitor the recycling process and provide a report on the recycling of the specific vessel. 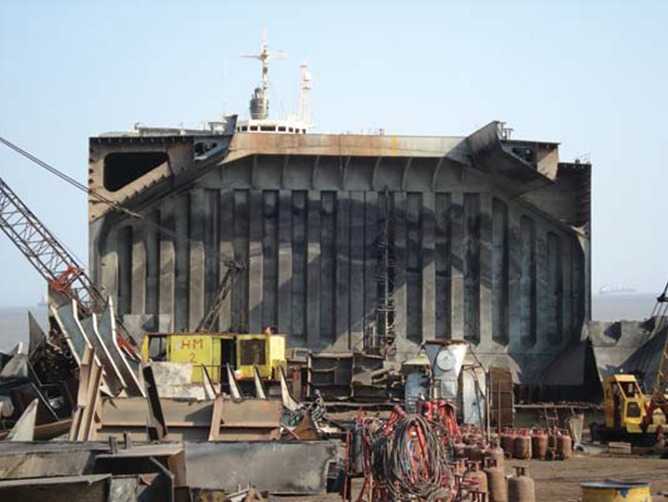 If required, such a program can include supervision by a leading classification society to monitor the process, to raise recommendations, to certify the Ship Recycling Plan, and to report to the owner. This way GMS is beginning to apply the technical standards of the HKC well before the Convention’s entry into force, and, most importantly, is encouraging individual recyclers to implement improvements, and to market their recycling yards through these improvements.